A parent contacted me recently, asking about what to tell her sons who are being bullied at school, should she tell them to defend themselves, or to follow Jesus saying, “turn the other cheek”? One of the reasons God instituted authority is to protect people from evildoers (see Romans 13), so as a parent you are justified in intervening and/or demanding that the school intervene if this happens when your sons are within their oversight. But what about turning the other cheek? It seems to me that what Jesus is addressing is the accepted practice of taking revenge: “an eye for an eye, and a tooth for a tooth,” and declaring that the Kingdom way is different. a) the righteous purpose of a man’s strength: to help women, the weak, and the oppressed. b) HOW TO use their strength to fight. c) that it’s no shame to try your best and lose a fight. d) the sinfulness of using their strength to pick on someone else. e) to defend themselves and their brothers and sisters if attacked. In consequence, after just a few conflicts, the bullies went looking for greener pastures. 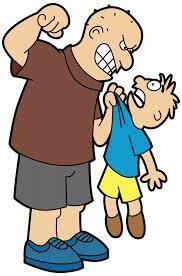 Experience teaches that, in general, standing up forcefully to a bully -- win or lose -- persuades the bully to find someone easier to bully. Jesus teaches, that his followers are to eschew revenge: "avenge not yourselves of evil, as it is written, 'vengance is mine,' saith the Lord, 'I will repay.'" But, the Bible does NOT teach that we may not defend ourselves, our dominion, or others, so there is no Biblical imperative for your son to be a punching bag for a bully. Taxes have been increased on Americans earning $400,000+ of income, now all our troubles are over. The fulfillment of Obama's sole re-election promise: higher taxes on "The Rich," is supposed to improve the lot of middle-class people, but I am still waiting for anyone to explain how somebody else paying more taxes will make my life better. Any takers? Throughout the Republican presidential nomination campaign I’ve remained arms-length toward Mitt Romney because I am uncertain of the depth of his Conservatism. On balance, Romney’s campaign issue stances are as Conservative as any other candidate (i.e. imperfect, but pretty good), but that is not all that matters. Events often present a President with important decisions that were not part of the election campaign – recent examples include “the Arab Spring,” 9/11, the housing bubble, the S&L collapse, the PATCO strike, the Soviet invasion of Afghanistan and the Iranian Revolution – when the unanticipated happens there are no campaign promises to reference, and a President draws upon his deeply held beliefs to make leadership decisions about those issues. This is why I look for tell-tales, such as accepting man-made global warming as science, or defending the MA individual mandate. Those things make my Conservative antennae tingle, and shake my confidence in the depth of Romney’s Conservative instincts. So, my misgivings about Romney are not about his electability, but about how he will govern. The question is, WHO IS BETTER? If the not-Romneys cannot deliver a more satisfying Conservative purity than Romney, then why shouldn’t I just go for Romney himself? His scripted message is acceptable, even inspirting, he has no scandals, he is a disciplined campaigner, he is as likely as any of them to beat Obama, and more likely than most. The very reason I’ve been looking for a viable not-Romney is that I want to see more Conservative government. If the available not-Romneys show the same kind of apostasy from Conservative thinking that Romney has sometimes exhibited – and all have done so -- then they no longer fulfill my reason for seeking a not-Romney candidate, and Romney's “most-electable” argument becomes compelling. Michele Bachmann poked fun at the humorless Washington Ruling Class by suggesting that God, like the American People, was trying to call their attention to out-of-control government spending, in this case by sending a hurricane toward Washington DC. Predictably, the remark was reported as if it were Bachmann's theological treatise on natural disasters ("Aha! We knew it when we saw those crazy eyes on the cover of Newsweek. "); notwithstanding, I think Bachmann is onto something. To wit, consider the election of Barack Obama to the Presidency -- the most unaccomplished, unknown candidate to ever win a major party's nomination. Could the ascension to power of the neophyte Obama, with all its deliterious consequences for the American People, be God's punishment for our national neglect of the minimal requirements of responsible self-government? Free men are responsible to discover the policies a candidate favors and his philosophy of government, before casting their vote for him, and knowing that the candidate is for "hope and change" doesn't meet that standard.